One of the biggest mistakes made when selling a condo is believing it’s the same process as selling a single family home. The first tip for selling a condo is to learn about the process itself so you understand what to expect throughout this journey. One of the easiest ways to learn about the process is to discover helpful resources, like this one, on condominium selling. Sellers who understand things such as how long does it take to sell a condo, how much does it cost to sell a condo, and how to prepare and sell a condo on a budget improve the chances of a smooth condo sale. One of the major differences between selling a condo and selling a single family home are the homeowners association (HOA) rules, regulations, fees, and potential assessments. When selling a single family home, it’s unlikely that a HOA is involved which typically makes the process easier because fewer parties are involved. Condo owners are obviously aware of the PROs and CONs of homeowner associations, but that doesn’t necessarily mean potential buyers will be. It’s important when selling a condo that you’re fully aware of, and disclose, all of the rules, regulations, fees, and potential special assessments to any buyer. A common real estate contract contingency that’s made by condo buyers is a review of the HOA rules and regulations. This contingency states that the purchase contract is contingent upon the buyers and their attorney’s review of any HOA rules and regulations. Before listing your condo for sale, gathering any HOA documents will save a lot of time in the future. Not having the proper documents readily available is one of the top reasons a real estate closing is delayed, so be proactive and gather them beforehand! One of the common culprits of unsuccessful condo sales is hiring the wrong agent. When selling a condo, it’s critical that you hire a Realtor® who knows how to sell a condo. There are some obvious signs that you’ve hired the wrong real estate agent to sell your property that you need to be aware of. For example, if you get your agents voicemail every time you call them, you’ve hired the wrong agent. Frequent communication with your real estate agent is critical when selling a condo. There are many tips for interviewing real estate agents when selling a condo and also some specific questions you should consider asking prospective agents. Ask them about how many condos they have sold, if they work with lenders who offer financing on condos, how would past clients rate his condo selling experience, and how do they market condos to possible buyers, etc. When selling a condo, selecting an agent who knows what they’re doing can be the wildcard you need to have a successful sale. An experienced Realtor® will not only know the process of selling a condo but will also know how to price a condo and how to market the condo. The two most important factors in the sale of a condominium are price and marketing. By hiring the right Realtor® you’ll have one of the two factors covered. The next tip for selling a condo is to decide on the RIGHT listing price of your condo. There are many mistakes made when pricing real estate that you must be aware of when selling a condo. For example, pricing your condo higher to leave room for buyer negotiations can be a big time mistake. Hiring the Realtor® will also help you decide on the right listing price for your condo. An experienced and successful agent will know how to determine the market value of a property and provide their recommendation for a listing price. The same agent will also not be afraid to turn down a listing if they feel a seller is being unrealistic with the price they want to list their condo for. Overpricing a property can be devastating and is a great way NOT to sell your condo. While there is not exact formula to determine the listing price for a condo, there are some excellent methods and data that can help improve the chances the right listing price is chosen. The first couple weeks that a condo is for sale should be the busiest for showings. There is only one opportunity to make a great first impression on prospective buyers, so it’s vital your condo is ready for the market. Correctly preparing a condo for the market does require some time, effort, and potentially some money. Are you going to have a pre-listing inspection? Are you going to stage your condo? These are just a couple important questions to consider as you’re getting your condo ready for the market. If you decide to stage your condo, make sure you evaluate if it’ll be worth it. There are some great cheap staging tips to consider if you don’t want to spend a lot of money on staging your condo. 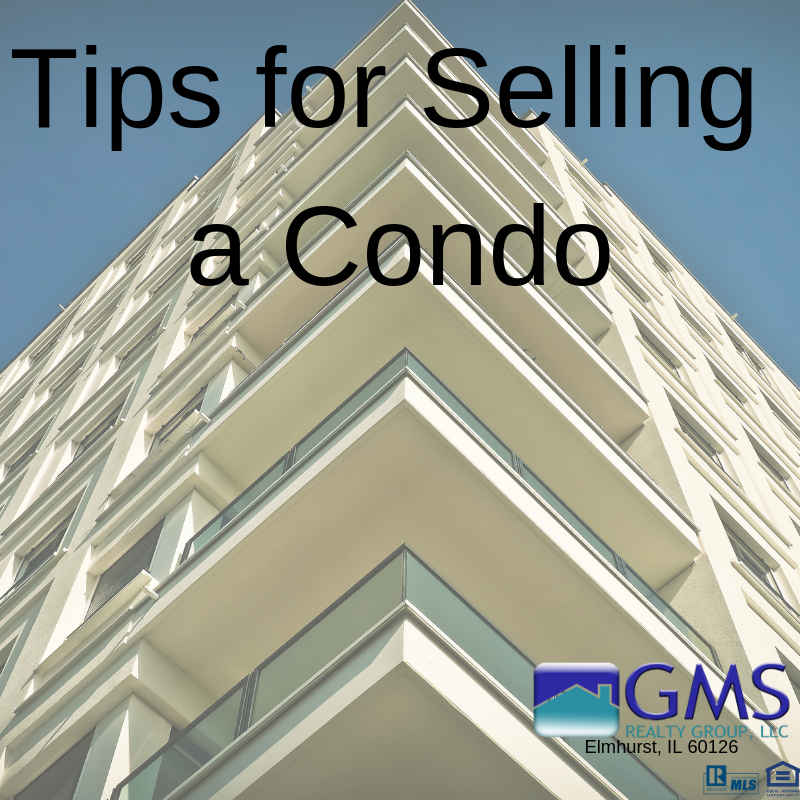 The most important takeaway with this tip is to just be sure that when your condo is officially for sale that it’s ready to be viewed by prospective buyers. One of the quickest ways to turn off a buyer is to have them walk into a property that’s a complete mess or a property that clearly needs repairs. Another important tip for selling a condo is to accommodate all showing requests if possible. Restricting showings is one of the worst mistakes made when selling a property. Selling a condo is certainly not convenient and showings can be requested at any given moment. While it may be inconvenient to leave your condo for an hour on a Sunday morning, it may be the only time the prospective buyer has available to view your condo. Anytime a seller is being difficult with showing requests, it raises the question whether they’re actually interested in selling their property. Sellers who understand that preparing and accommodating showings can be inconvenient aren’t as stressed when the requests begin which can make the sale much more enjoyable. There are dozens of reasons to have an inspection when buying a home. It’s important to realize while selling a condo that it’s likely the buyer will want to have their own inspection. Another great tip for selling a condo is to prepare for the inspections. Most sellers don’t realize there are some great ways to prepare for inspections when selling a condo. Tasks such as checking the functionality of your condos plumbing, windows, lighting, and appliances can eliminate potential issues resulting from a buyers inspection. Sellers who understand how to prepare for a home inspection greatly decrease the chances that the transaction falls through because of the inspection. The inspection period is when the highest number of real estate transactions fall through, many times because the seller doesn’t prepare for the inspection beforehand. The importance of having an experienced Realtor® cannot be overstated when selling a condo and the same can be said about an attorney. If your condo is located in a state where attorneys handle real estate closings, hiring an attorney with condo closing experience is recommended. “Do I need a real estate attorney to sell my house?” This is a pretty common question asked by sellers and the answer, in most cases, is yes! Attorneys who specialize in condo closings are there to protect your best interests and make sure that the proper procedures are followed. The cost of a real estate attorney, which ranges from $500-$1,000 depending on your location, is well worth it.